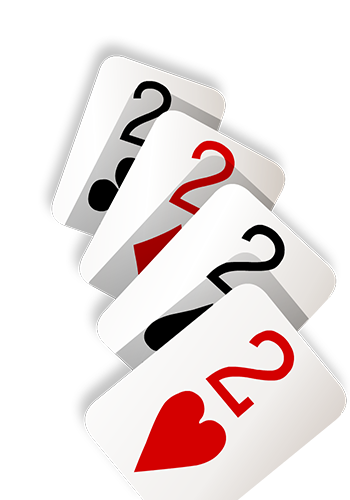 In this case, it is the twos that act as wildcards, increasing the chance to obtain a good hand. 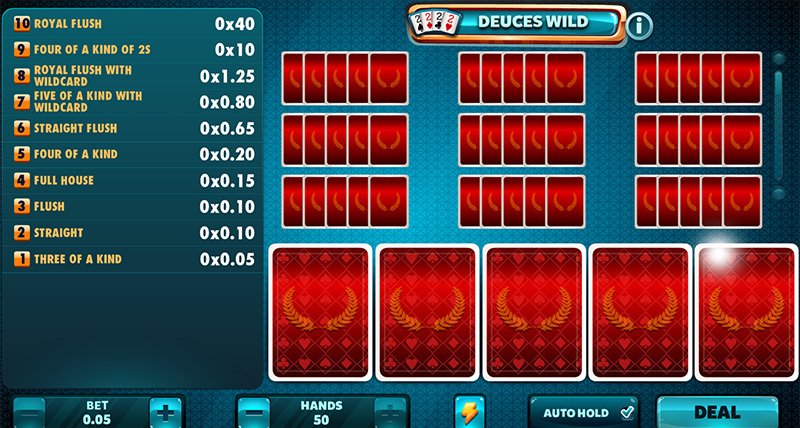 Try to obtain hands equal to or higher than a Three of a Kind with the help of the 4 twos and obtain your prize! 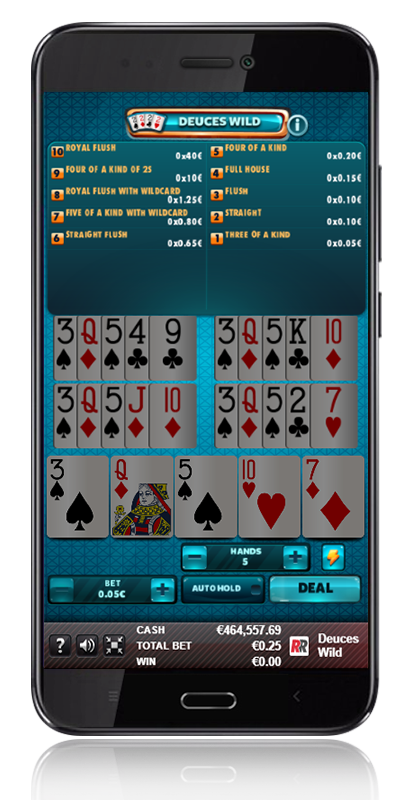 Any hand equal to or higher than a three of a kind will have a prize. 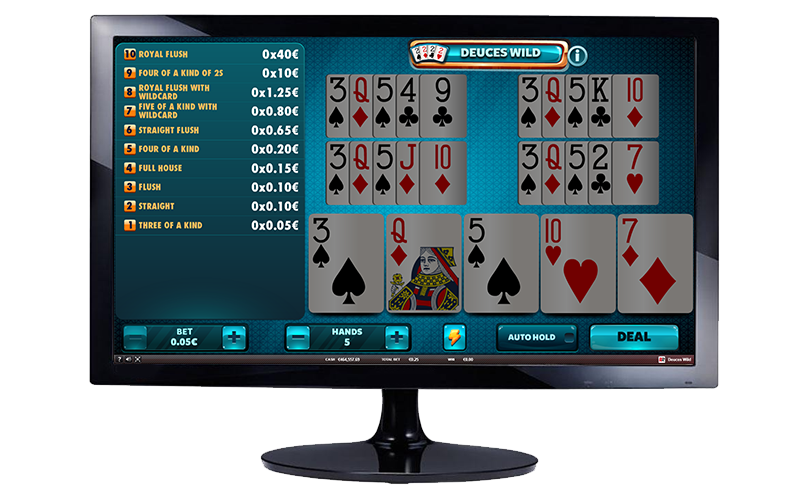 Play from your mobile or tablet. 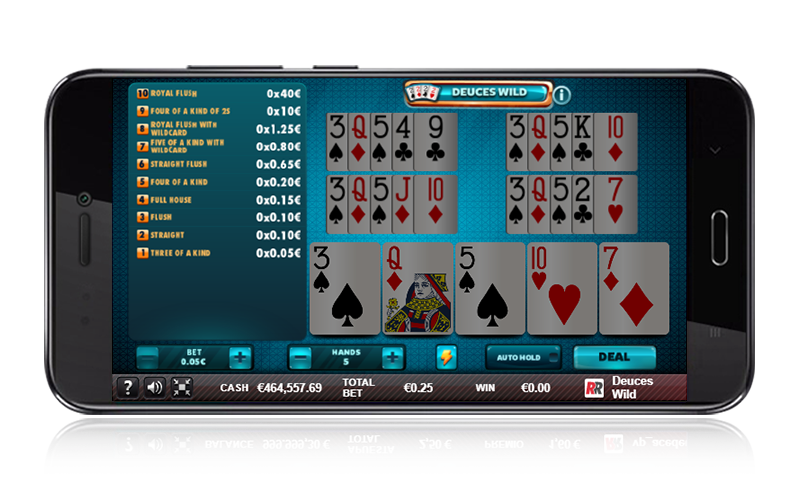 UK in progress, Italy in progress, Spain. 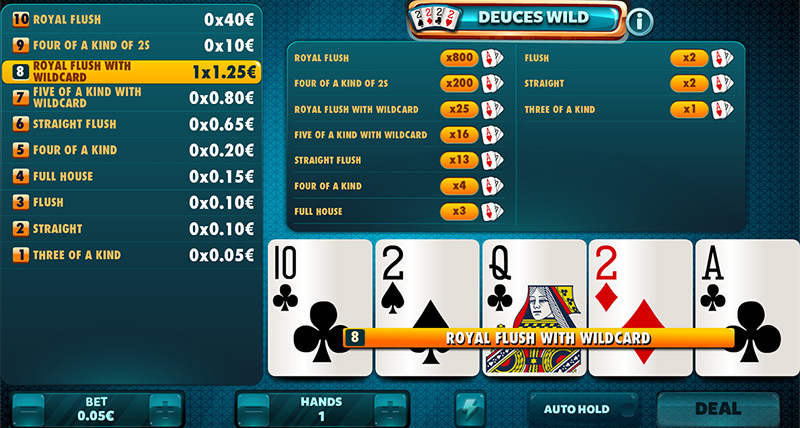 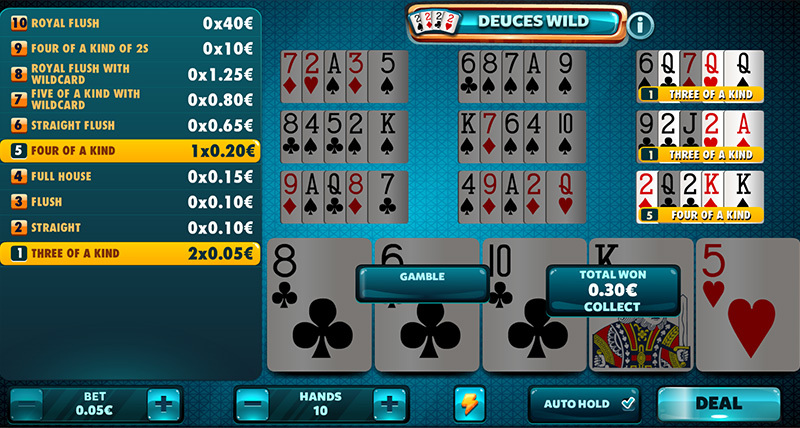 Deuces Wild: Use the twos to obtain combinations with a prize. 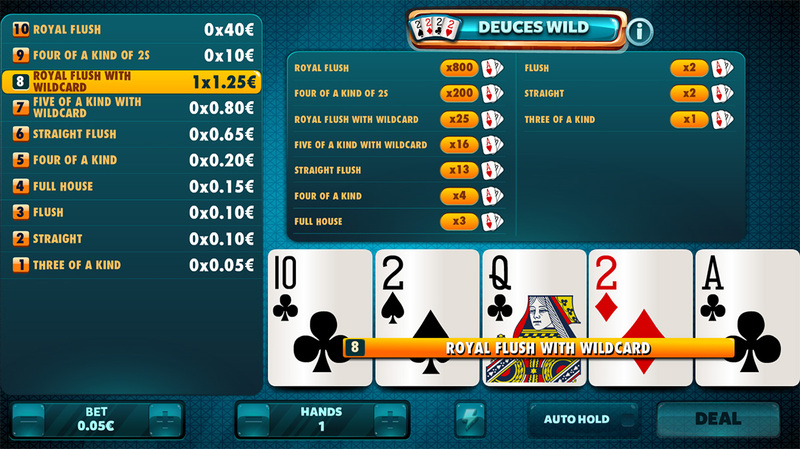 Deuces Wild: Any hand equal to or higher than a three of a kind will have a prize. 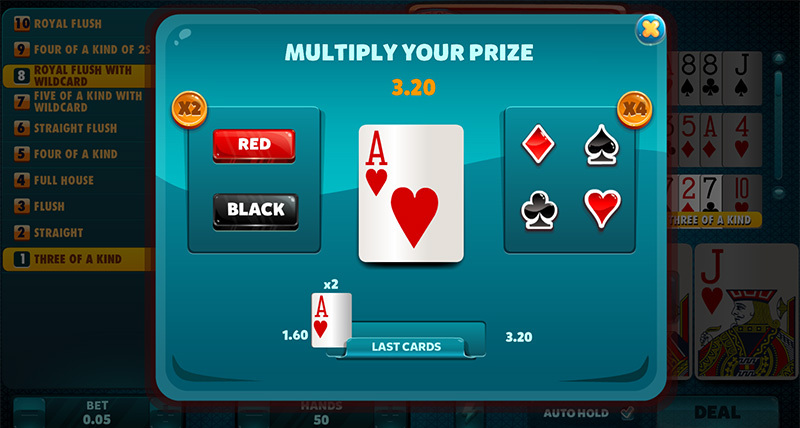 Gamble Mini Game, where you can multiply your winnings.